What Does Studying Mean to You? Many people think that the daily routine of a student is studying and learning in a seminar room or a lecture hall indoors but this is not the whole truth. 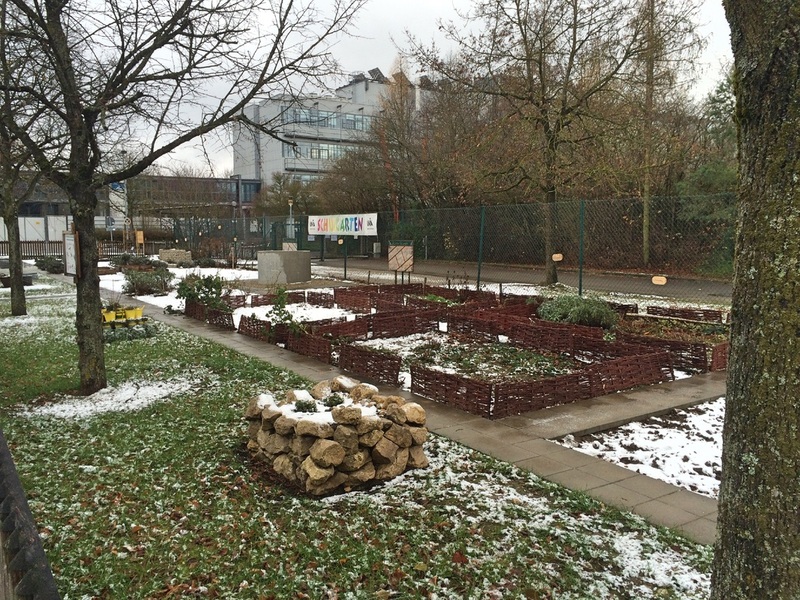 At the University of Augsburg there is a place called the “school garden” where students can grow or build something to compliment their studies in biology. After this school children can visit the garden and learn something about plants and biological material "in nature”. This is a valuable experience for both sides. On the one hand the school kids to escape the daily routine and go to an extracurricular place of learning and on the other hand university students have practical experience with a school garden which they can bring with them into their work in a few years.